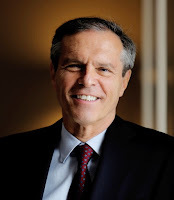 theinder.net: Ambassador Steiner: "Diplomacy must reach the people"
Ambassador Steiner: "Diplomacy must reach the people"
(bc) Diplomacy can be different - the German Ambassador in India H.E. 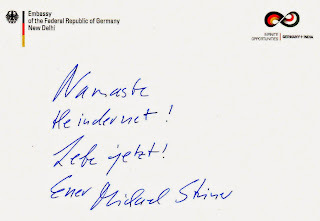 Michael Steiner tries to bring a breath of fresh air into the Indo-German relationship. With one of Karan Johar's Bollywood blockbusters "Kal Ho Naa Ho", Steiner achieved a million-click-hit on YouTube with his video remake of the title song. The public feedback is still overwhelming and the video goes viral. theinder.net talks with the ambassador exclusively about his intentions for "Lebe Jetzt - Kal Ho Naa Ho", the shooting, but on the current situation in Nepal after the tragic earthquake as well. Mr. 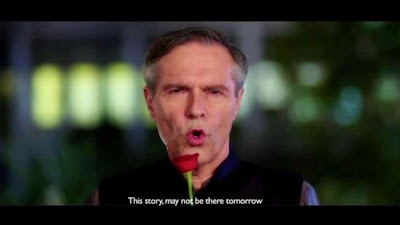 Ambassador, congratulations, your Bollywood video "Lebe Jetzt - Kal Ho Naa Ho" reflects a new way of diplomacy - where did this idea come from? Traditionally, diplomats have concentrated on the contacts between governments. However in the past decade the civil society has become more and more important. Thanks to the internet and electronic media it is connected all across the borders. And that is a positive development. Diplomacy also must adjust to this growing trend. It must reach the people. That is exactly our aim. We wanted to reach out to people, and connect with them through something that brings a smile on their faces. Also popular culture is a suitable medium for that. And in India, when one thinks of popular culture, automatically, one thinks of Bollywood with its already worldwide radiant power. The enthusiasm for Bollywood and stars like Shah Rukh Khan knows – in the truest sense of the word - no borders. It also connects Germans and Indians. In Salman Khurshid, former foreign minister, I found a likable and humorous partner, who shares our understanding of modern diplomacy. It was important for me to do the remake together with him - without taking ourselves too seriously. This video is likely the original title music video of Karan Johar's "Kal Ho Naa Ho" movie and might become a serious competitor to the original one... Seriously: Which message do you want to leave to the viewers? 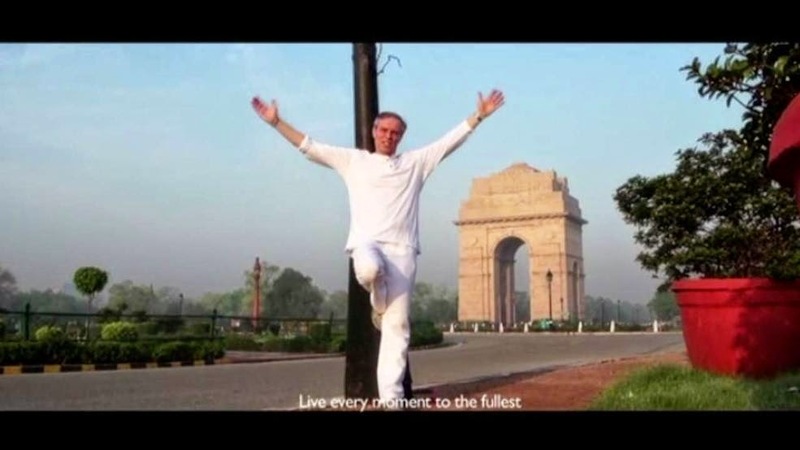 As mentioned earlier, with our music video we wanted to reach out to people of all walks of life in India, wanted to show, how many things connect Indians and Germans, and wanted to encourage and facilitate further “people-to-people” contacts. The shared enthusiasm for Bollywood in India is one factor here. But also take the core theme of the wonderful song “Kal Ho Naa Ho” penned by the renowned and popular lyricist Javed Akhtar: Kal Ho Naa Ho – it wants to tell us: Live right now – Lebe jetzt! This message appeals to all of us, wherever we live, independent of our state of life, and that’s why it is eminently suitable to bring people together. You have officially presented your video live to an audience in New Delhi. How was the feedback from the original film stars and director, e.g. Saif Ali Khan and Karan Johar? Are we going to see you and your wife someday on the big screen, for example in an Indo-German Bollywood 'Heimatfilm'? 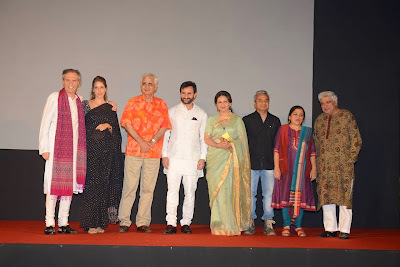 We were very glad, how positively the actors of the original film, Shah Rukh Khan, Saif Ali Khan, also the producer Karan Johar, the singer of the song Kal-Ho-Naa-Ho Sonu Nigam, even the eminent composer of the song text Javed Akhtar and others have received our homage to Bollywood. 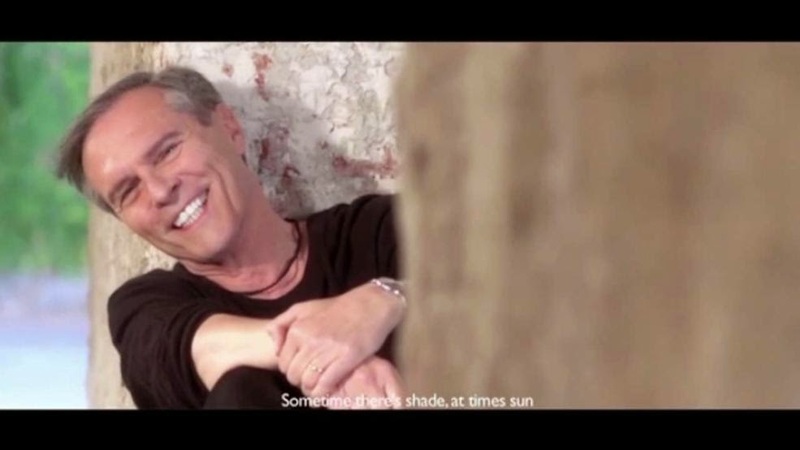 They have conveyed heartfelt messages to us, partly by video. 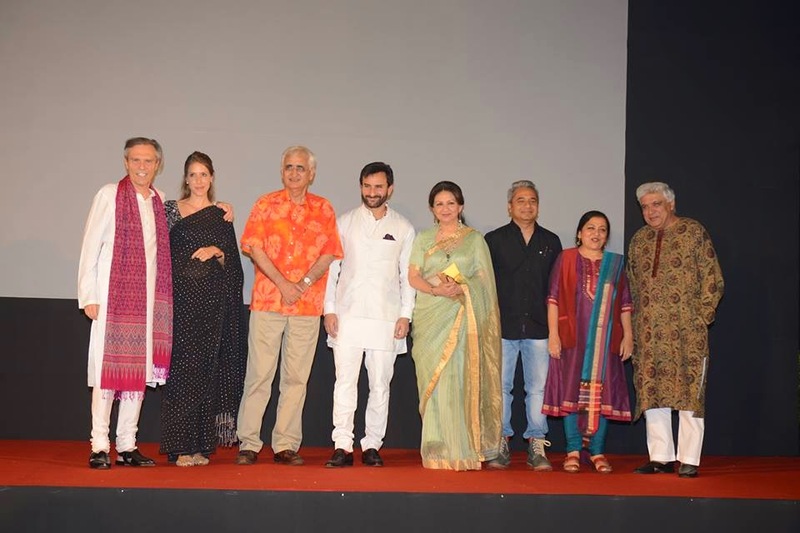 Saif Ali Khan and Javed Akhtar even took part personally in the launch of our video “Lebe Jetzt – Kal Ho Naa Ho” at my residence garden and expressed that he appreciated our initiative. But I don’t fool myself. Shah Rukh Khan and Saif Ali Khan are excellent and impressive actors, and we never had the ambition to compare ourselves with them. The shootings – on the weekends till 3 am in the night – were indeed fun. But they were also hard work. Above all, I was really struggling with the lip synchronization because I don’t speak Hindi. I must say: My respect for the work of movie actors has grown again significantly during the shooting. In the social networks, such as Twitter and Facebook, you are now hailed as "Coolest Ambassador ever" and even a "Rockstar". How do you like this? The film team, the other actors of our little music video, my colleagues, my wife and I are simply overwhelmed with the positive response. On YouTube alone, our video is about to cross the one million mark – and that even though in Germany, it cannot be watched on our YouTube-channel GermanyinIndia, unfortunately. Above all, the video has also been broadcast on many Indian TV channels. News channels and newspapers have reported about it. Most of all, I am pleased that we have succeeded in creating further interest and sympathy for Germany in India in a humorous way. 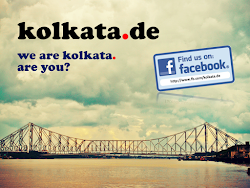 That was the aim, and that has also been expressed by many people in India who gave us so much feedback. Music can build bridges. 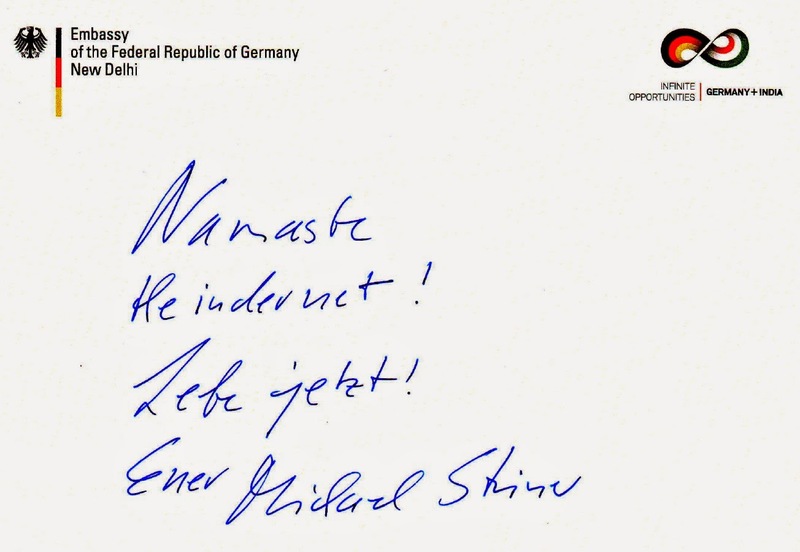 You might have brought a breath of fresh air into the Indo-German relationship. Do you think that other ambassadors and diplomats should take this as an example to consider their mission to be performed from a perhaps more relaxed point of view? No, I think that to promote international relations every diplomat should choose the means which appear suitable to him and fit with his personality. As for me, I am convinced that, in diplomacy, it becomes increasingly important to directly address the people in the host country and to get them interested in the country the diplomat represents. For that, every now and then, one must be ready to divert from the classical paths of diplomacy. Please let us talk now about a current topic. On April 23rd, 2015 a major earthquake trembled Nepal and large parts of India causing numerous deaths and injuries. Our editorial staff has also relatives and friends in the border region which was affected by the earthquake strongly. How does the German Embassy in India support the rescue operations and which actions are taken to support the victims and to help on the cleanup efforts? In your opinion, what can the German government and other institutions do to help the victims effectively? The German Government has reacted very swiftly and delivered humanitarian assistance. It has dispatched disaster response experts of the Federal Agency for Technical Relief and the German Red Cross. The Foreign Office has immediately provided financial aid of 2.5 Million euros, which, in the meantime, has been further augmented. Our colleagues at the Embassy in Nepal were on duty day and night, working non-stop resisting exhaustion. As the Embassy in the most important neighbouring country and in cooperation with the Indian Government, we have supported the transit and onward journey of the German experts. In addition to that, the Embassy New Delhi has sent its experienced head of administration, its head of security, its embassy doctor and another administrative staff member to Nepal at a very short notice in order to support our colleagues at the Embassy in Kathmandu in these difficult times. Thank you very much for your valuable time, Mr. Ambassador. Wishing you and your wife all the best for the future. Even Bollywood responded positively on the Ambassador's video, amongst them Karan Johar, Shah Rukh Khan and Sonu Nigam. 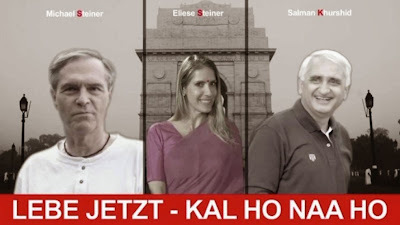 Photo: (c) German Embassy New Delhi: video poster of "Lebe Jetzt - Kal Ho Naa Ho"